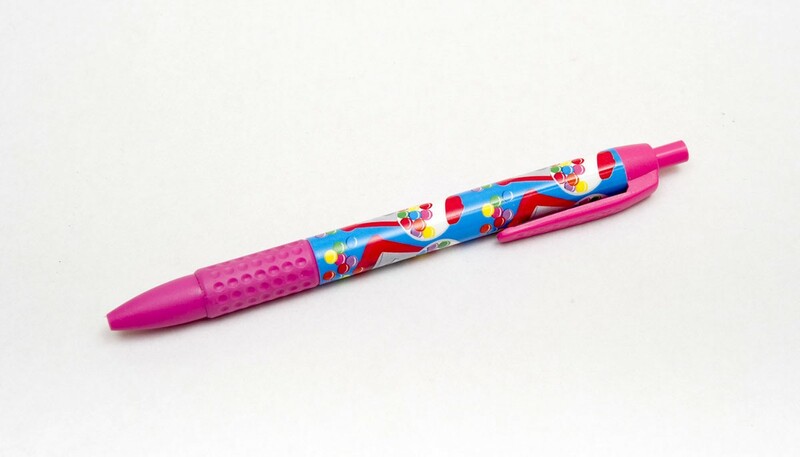 Yummy bubblegum scented pen. The scent is in the grip so each time you pick up your pen it smells! Yummy bubblegum scented pen. The scent is in the grip so each time you pick up your pen it smells! So not only does this pen look great it smells great too. This is the only way to have bubblegum in class! Pen has non-toxic black in and measures 14cm.